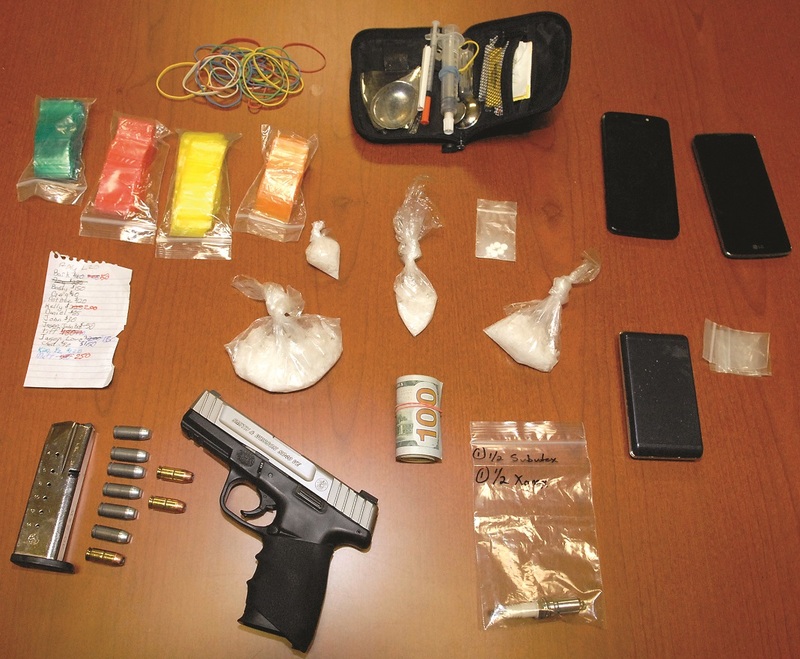 Last month the Wilkes County Sheriff’s Office announced a series of drug seizures that netted 30 arrests, including a number in which methamphetamine was a factor, alongside heroin, opioid pain pills, cocaine and marijuana, according to the Wilkes Journal Patriot. Many headlines about the dangers of drug addiction in recent months have focused on heroin and other opioid drugs, which have been to blame for a staggering death toll. But cases like this one suggest that methamphetamine remains a prevalent problem as well. Statistics from the N.C. Office of the Chief Medical Examiner show that meth is not just another nonopioid illegal controlled substance. Like opioids, methamphetamine is to blame for a growing number of deaths in North Carolina each year. John Keane, special agent in charge of the Diversion and Environmental Crimes Unit at the State Bureau of Investigation, has an idea as to why methamphetamine use across the state is overshadowed by the opioid epidemic. “If there’s any focus that is taken away from meth, it is that we just don’t see the deaths associated with it like we do with all opioids,” Keane said. The number of meth-related deaths is far below opioid-related ones in North Carolina, at least for now. But while both sets of numbers are rising at an alarming rate, the number of meth-related deaths are growing much faster. In 2017, 1,974 opioid-related deaths occurred in North Carolina, according to the state medical examiner, an increase from 1,584 deaths the year before, or about 25 percent. The state medical examiner reports that 160 people died in 2017 as a result of methamphetamine-related overdoses, nearly a 47 percent increase from the year before, when 109 people died because of methamphetamine. While it may not be likely that deaths related to these drugs will sustain such high rates of growth in North Carolina for a long period, at its current growth rate, meth fatalities would be on track to exceed opioid fatalities in 15 years. “We know that generally epidemics come and go, so we can expect that the opioid crisis will be replaced by another crisis in the future,” said Chris Budnick, an adjunct instructor in the social work department at N.C. State University who also works at Healing Transitions, a private, not-for-profit organization in Raleigh. Budnick is also the director of Healing Transitions, an addiction recover center in Raleigh. He cautions that there are downsides to all of the attention the opioid epidemic has received in recent years. “It’s good there’s been a lot of coverage given to the opioid crisis, but there’re a few things we need to be cautious about,” he said. More than 12,000 North Carolinians have died as the result of opioid-related overdoses between 1999 and 2016, according to the N.C. Department of Health and Human Services. The highest numbers of opioid-related deaths between 2010 and 2016 were in Brunswick, Cherokee, Graham, Yancey, Burke, Wilkes and Yadkin counties. Roughly 516 meth-related deaths occurred between 2008 and August 2018. However, the numbers since 2017 remain provisional. Relatively few of those deaths occurred earlier in the period, with just six in 2009, before reaching a high of 160 in 2017. The highest levels of meth-related deaths since 2008 have included 54 in Buncombe County, 39 in Mecklenburg County, 27 in Forsyth County, 24 in Rutherford County and 24 in Surry County. While an increase in the statewide population in recent years could partially explain the rise in deaths from both types of drugs, the population has not grown at such a fast clip. Perhaps one of the reasons the rise in methamphetamine-related deaths has received less attention is that drug statistics released by the state Department of Health and Human Services typically do not differentiate between meth-related deaths and deaths from other nonopioid drugs. However, the medical examiner’s office has the underlying data to show which deaths resulted from meth use and was able to provide a breakdown of these fatalities when requested by Carolina Public Press. Even though the number of methamphetamine-related deaths is rising, the number of meth labs that the State Bureau of Investigation has responded to over the past few years has decreased. The SBI investigated a total of 232 labs across the state in 2017, a significant decrease from 557 in 2014. Kelly Page, assistant special agent in charge of the SBI’s Clandestine Laboratory Response Unit, notes that the majority of methamphetamine in the state now comes from Mexico. Johnston County ranked among the highest number of clandestine lab cases, with 46 labs in 2014, 40 labs in 2015, and 33 labs in 2016. The numbers for Johnston County dropped in 2017, with only 14 clandestine lab responses. The U.S. Drug Enforcement Administration classifies methamphetamine as a Schedule II substance, meaning that there’s a high likelihood for abuse. Budnick emphasized the importance of engagement as part of recovery, which can be difficult to maintain, given the daily stresses that the majority of people who suffer from addiction face. Because most people he helps at Healing Transitions come from lower-income backgrounds, thoughts of employment and housing often take precedence over continued recovery engagement. “There’s a fundamental, pervasive thought about addiction – that it’s based on choice, that an individual has made a decision to use alcohol or other drugs; they’re therefore less deserving of our compassion, second chances and treatment,” Budnick said. Healing Transitions has seen an increase in methamphetamine users over the past eight years. In 2010, the center dealt with one woman and four men who needed treatment for methamphetamine addiction. In August, 28 women and 57 men entered the center for meth-related treatment. Center estimates show that by the end of the year, numbers could reach as high as 42 woman and 85 men, the highest number of both men and women the center has seen over the course of the past 10 years. “Until we get more money, more prevention and treatment, we’re still going to have this problem, unfortunately,” Keane said. Having access to treatment isn’t good enough, Keane said, because the treatment needs to be immediate. The longer people have to wait, the more likely they are to continue to misuse drugs, which could ultimately lead to an overdose-related death, he said. “We need to do a better job of balancing the enforcement with the treatment,” Keane added.